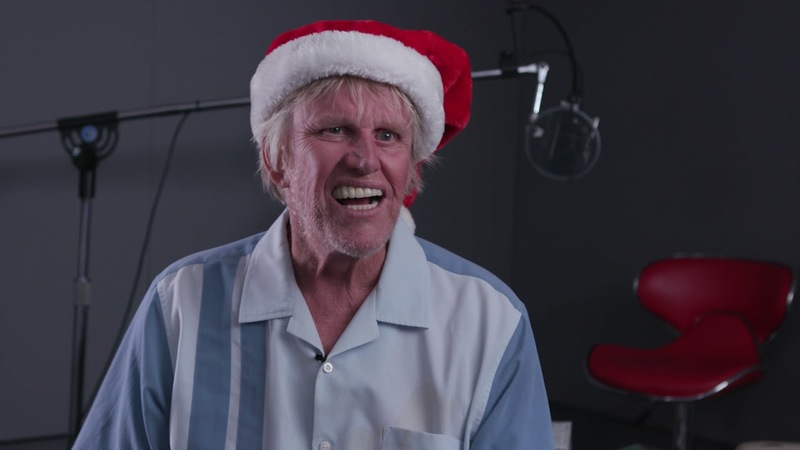 Gary wishes you a Seasons Beatings this holiday! Yoshiro started a topic Gary wishes you a Seasons Beatings this holiday! Just because some mentions $12.99 as a pricetag doesn't mean he will be that price. Wasn't Mrs. Foster like 7.50? While it would definitely please the War History buff in me, keep in mind that Killing Floor is not a "nazi zombie" game. Anton is already quite a tacky addition to the game (even if I ended up enjoying the character... if I can say so). Plus as I said, it is not common to add weapons along with characters (except with Tom Banner and the Zweihander, which was recieved rather poorly). Not to mention that new characters require new voice acting, which cost money. And apparently, it is Tripwire's new thing to count on the new characters to pay for the numerous free updates. So... I doubt they'll release it as a free, content update. It may not be a Nazi Zombie game, it's nonetheless fun to add some historical equipment to it. I rather enjoy using historical firearms in modern times. And I can definately see that Killing Floor is about fun. I think having both modern and historical thrown into the mix just makes killing Zeds all the more fun. Especially when we're raining hell on those bosses. You may got a point though... they would probably get us to pay up for it. OH wait! Better idea! Instead of what I suggested, why not do this instead? With the Drum Mag Thompson like you said. Add the M2 Carbine with him. Add the Sten gun for SWAT, as it was widely used by British Commandos during the war. Why? Cause there were female snipers in Russia during the war. So it's actually fitting. My bad, he is British. The fact his voice actor is american got me. This being said, that's still a pretty wonky reason to add a marine. You didn't get a marine with the inclusion of the Trenchgun, nor a Belgian soldier along with the P90. Neither a did an Israeli soldier pop along with the deagle... Or a cowboy with the 1858. IF we really have to go that route, I'd much rather have a mafioso character. At least it would be fairly iconic. *yawn* , yet another US soldier... As if we didn't see them enough in games. Not to mention we already have Masterson. No, if we need to add yet another WW2 veteran, let it be from another country. Russian, French, British, Canadian... But not yet a freaking Marine. But other than that, if you're going to add a Thompson, let a WWII US Marine take the stand. Please add in these other guns BEFORE talking about that. Masterson is a British soldier, not US. Besides, there's only ONE that's probably US and that's Don. But he's not a soldier. And it's not like I'm asking for a whole new group of US characters. Just the one WWII Marine for the Thompson that's being added. If a World War II gun is being added, it's actually fitting for a WWII US soldier to be the addition to the Thompson. I could also ask for a Cold War Russian, and to have an AK-47 with the undermount Flamethrower for the Firebug/Commando. Last edited by AmericanAutobot; 11-11-2018, 05:07 PM. Can we get a World War II US Marine character for Christmas? Please? Anton Strasser looks so lonely without another World War II buddy by his side. And it would make an awesome addition to the M1A1 Thompson! I mean, if this character was some kind of badass soldier(but has christmass skin), instead of being Santa, that would be instabuy. And I know it's only me but... we still don't have clear explanation how seasons tie to whole lore. Don't get me wrong it's super santa and all, but... a Santa? With all due respect to both the man and Tripwire's, that's too bloody expensive for a single character...that doesn't change anything gameplay-wise mind you. But yeah, definitely a freaking awesome character nonetheless! Yes it is a little to high but I held off buying Mis. Foster, Garys success as an actor shows he is worth every penny in my eyes. Eh.. typically I cringe at that type of price for a character, but I doubt Gary was cheap to get lol. I'm sure many people will be buying just based on name recognition. Hopefully the lines are pretty funny - hard to tell with the small tease in the video. Don't get me wrong, I'm more than impressed that the man himself sat out to voice a character, for a "medium game" (meaning, neither AAA nor a little indie one). Still, paying nearly half the price of the game for a character that doesn't even mean anything to the game (since Killing Floor doesn't really have a "story" nor "protagonists") is really a pain in the ***. I'm all for supporting the developpers, but I think it would actually benefit them to make it just a wee bit cheaper... More people would buy it (hopefully?). Maybe it's just me though. Now this is an Actor i would pay $12.99 for an extra character!